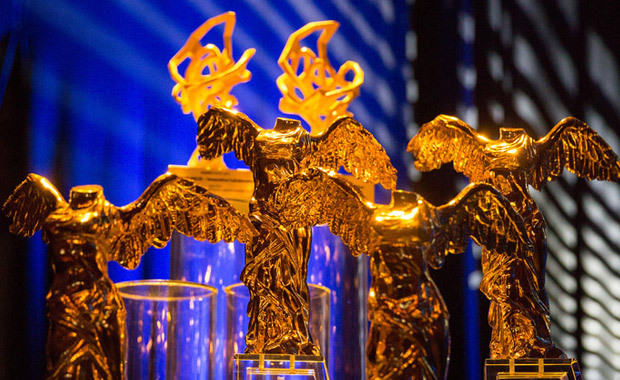 Golden Nica statuettes estowed upon the Prix Ars Electronica prize winners. Photo by Tom Mesic. Ars Electronica is accepting entries for 2018, for its annual International competition for CyberArts — the Prix Ars Electronica. As the world’s most time-honored media arts competition, The Prix Ars Electronica is open to creatives from all around the world. Winners are awarded the coveted Golden Nica statuette, prize money ranging up to 10,000 Euro per category and an opportunity to showcase their talents at the famed Ars Electronica Festival in Linz, Austria. Computer Animation — works of 2D or 3D computer animation, digital short films and narratives, character animation, abstract CG animation, scientific visualizations, commercials, music videos, visual effects, CG for the creative manipulation or enhancement of live action scenes, real-time CG, game cutscenes, machinima, generative visuals, VR, projection mapping, game, Installation focused on new visualization/animation, theater projects, opera project etc. Digital Communities — open to political, social, cultural and artistic projects, initiatives, groups, and scenes from all over the world that are effectively utilizing digital technology to further society and to promote social responsibility. u19 – CREATE YOUR WORLD — completed works and projects, as well as detailed concepts or models in which the idea has been substantially developed in the direction of realization. The work itself could be, for instance, an artistic animated film, sound creation, website, app, scientific or social project, creative design, or innovative, futuristic idea. It’s freestyle, so anything goes. The 2018 awards presentation will take place during the Ars Electronica Festival 2018 in Linz, Austria, 6-10 September, 2018. The Prix Ars Electronica competition is staged jointly by Ars Electronica Linz GmbH & Co KG in cooperation with the OK Center for Contemporary Art and Brucknerhaus Linz.